A Memorial service will be held Saturday, April 20, 2019 at 2:00 p.m. in the chapel of Albritton Funeral Directors with Dr. Fred Evers officiating. Eulogy will be given by his daughter Summer Holt. The family will receive friends from 12:30 to 1:45 p.m. at the funeral home before the service. A family celebration of his life will also be held in Jacksonville at a later date. Mr. Schaffer was born March 8, 1958 in Springfield, Missouri to the late Ronald L. Schaffer and Martha Ann Raines Schaffer. Mr. Schaffer attended Northside Baptist Church. He was retired with United States Air Force and the U. S. Postal Service. 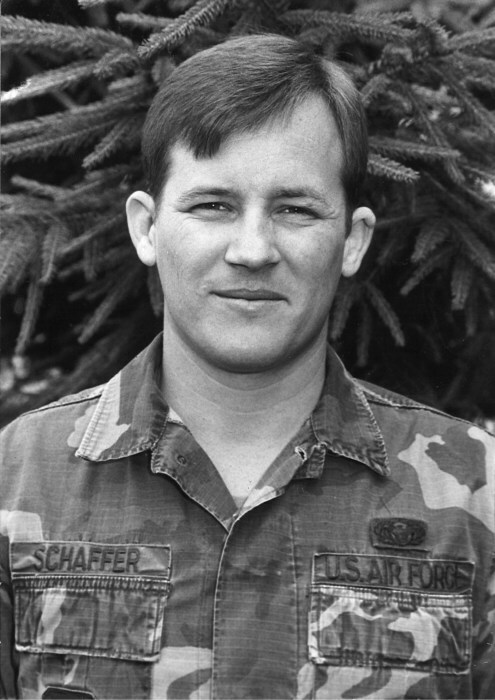 Mr. Schaffer had a distinguished military career serving in Desert Shield and Desert Storm. He loved his family especially spending time with his grandchildren. He enjoyed working outdoors and fishing. Mr. Schaffer is survived by his wife, Mary Swan Schaffer of Ocilla; two daughters and sons-in-law, Summer and James William Holt of Ocilla and Erika and Chris Lee of Jacksonville; five grandchildren, Dacee Blawn, Hailee Blawn, Alyandra Lee, Aivan Lee and Willow Holt; two brothers and sister-in-law, Jesse Schaffer and Al and Alice Schaffer all of Tampa, Florida; his sister and brother-in-law Becky and Bob Rexroth of Indianapolis, Indiana. There's still time to send flowers to the Visitation at the Albritton Funeral Directors from 12:30 PM to 1:45 PM on April 20, 2019.